Beginning this issue, Gaya Travel is bringing in a new column called Black & White. It is the column that does not only talk about the city but more of the stories and lives behind it, the tales that we often take for granted. There is more to what meets the eyes, there are two sides of coin in every story and this is what Black & White is all about. Every time anyone mentions Kuala Lumpur, visions of cacophony, traffic congestion, density and fast pace comes to mind. In this vibrant city, sky-scrapers define its skyline amidst the clutter of buildings. This capital city of Malaysia does not only serve as the economic and political hub of the country but also alive with stories of its citizens. Behind all of these developments lay tales upon tales about the iconic Dataran Merdeka (Freedom Square). It may look like just another square used for celebrating the country’s Independence Day, but it actually has more to tell. Everyday thousands of tourists and locals walked by this historic field – some learning about its rich history, some take photos with countless poses, while most walk by without realising the reason why this field of green grass remains untouched till this day while other plots of land throughout Kuala Lumpur are developed rapidly. Do you know that the British made Kapitan Yap Ah Loi (the founding father of modern Kuala Lumpur) promise not to touch this patch of green? 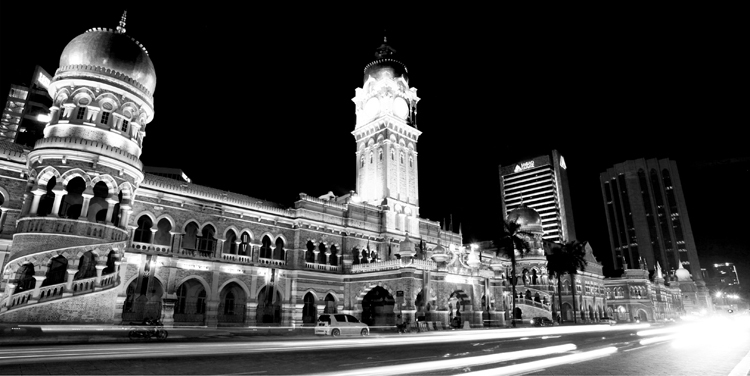 Dataran Merdeka was formerly known as the Selangor Club Field or “Padang” where crickets were played on its grounds and Kuala Lumpur’s residents of the past socialised. This historic field is also where the Union Jack was lowered on 31 August 1957, to make way for the Malayan flag, marking the country’s independence from colonial rule. Replete with history, Dataran Merdeka has witnessed wars, floods and rapid development since its birth. So, when you pass by Dataran Merdeka, do remember that this field is not just another green space allocated for large scale events but also holds the nation’s heritage and defines the character of Malaysia’s most bustling metropolis. People whom we crossed path every day at the LRT stations may seem ordinary but the truth is they are not. Among them are janitors and cleaners who keep the city free from rubbish, whose hard work ensures that Kuala Lumpur is not turned into a landfill. Some of them are also teachers who help to develop today’s children into future leaders. Everyone plays an important role and contributes to this developing city. But do you realise that while everyone whom you crossed path looks employed, some of them are actually homeless? Black & White salutes ReachOut Malaysia, an organisation made up of ordinary Malaysians who distribute food to the homeless every night without fail. Most of these homeless people have suffered from misfortune in their lives, largely originated from outside Kuala Lumpur who came to the city in search for better life but instead succumbed to hardship. By day, these homeless faces may pass as just another person going about their own business; but as night comes, their indiscriminate places of sleep make them more visible. Some have to send most of their money home, thus cannot afford either accommodation or food. ReachOut Malaysia sought to alleviate such destitution by giving out packets of food, toiletries and alms. Volunteers comprising students, industry key players and even housewives sacrificed their sleep so that these homeless people can survive for another day. For these volunteers, what they do is not merely a job but a calling. We may have the KLCC standing proudly for the whole world to see but we also have people who seek shelter under moonlight, a sad reality that still plagues Kuala Lumpur. All of its citizens – homeless or otherwise – have the right to live in decent homes. 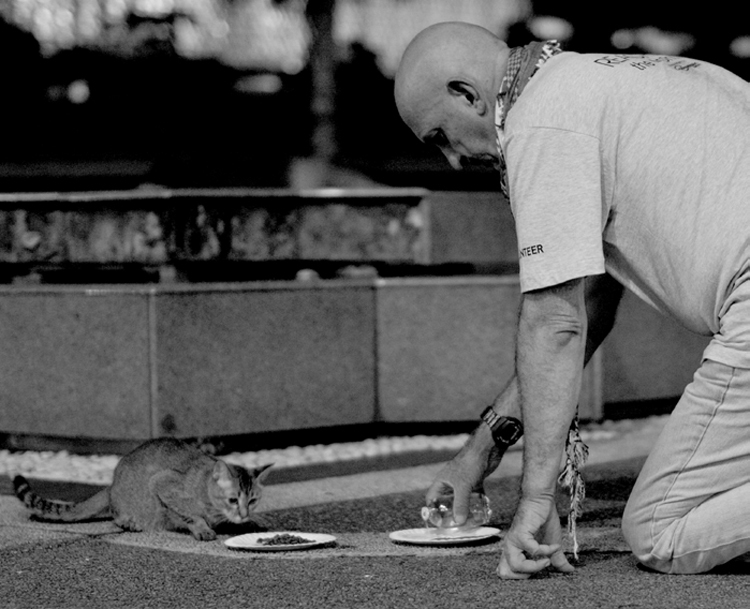 Kuala Lumpur would have not been how she is today without her people, including the homeless. The sweat of every citizen, past and present, helps to turn Kuala Lumpur and Malaysia into what we see today. Every big city in this world has its own story, tales of its own people who shape the city into what it is today. 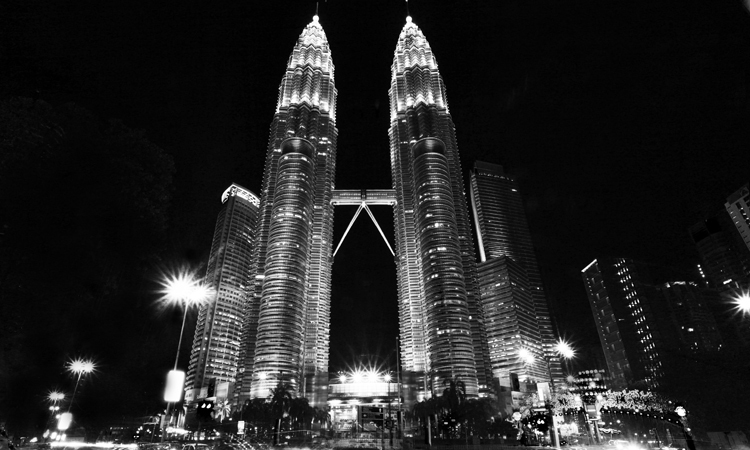 This is how Black & White sees Kuala Lumpur. Till then, see you in the next issue.